Are you ready to become one of the hundreds of home buyers with the Colorado Community Land Trust? Part of our mission is to educate home buyers so they know all the steps to the buying process. Therefore, we have a required Home Buyer Orientation Class that you must attend. See our DO I QUALIFY page for all the details. During this orientation we will review all the amazing benefits, the specific restrictions, and the Land Lease you will be subject to when buying a CCLT home with our Affordable Housing Program. Resale Formula, the method CCLT uses to calculate a maximum resale price. Buyers are limited to a 25% return of equity when selling their home. The remainder of the profit stays in the home to maintain the property as affordable in perpetuity. Potential buyers will have the opportunity to visit with a CCLT representative and/or a lender and may discuss the program at length. 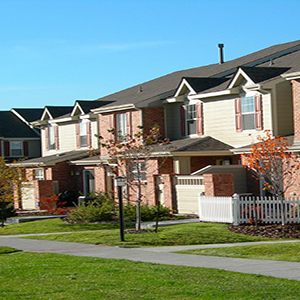 Only home owners may occupy the residence – the townhome may not be leased. The land and the townhome are separately owned. The land is owned by the CCLT and the townhome is owned by the home buyer. The home buyer has a 99-year land lease with the CCLT. The CCLT determines the allowable maximum resale price according to the land lease and affordable housing guidelines and administers the sale and resale of the home to assure the next buyer is income eligible. Purchasing a home may be daunting, especially for people with modest-incomes, who are often first-time home buyers. Colorado Community Land Trust makes the process easier by working with interested buyers to educate and position them to succeed in home ownership. CCLT’s home buyer services include buyer orientation, first-time home buyer classes, mortgage pre-qualification (with one of our participating lenders) and income verification. Through this process, potential buyers learn about the benefits and obligations of home ownership, as well as about the specific requirements of the land trust model. Please let us know how we may help you move forward on your purchase of a home and welcome you to the Lowry neighborhood! From search to closing, the CCLT is here to make home ownership happen.